CUPE Education Workers’ Steering Committee launches radio ad campaign | Where's the funding? CUPE education workers have launched a new radio ad campaign to voice their concerns about the Sask Party’s plan for the education sector. The ads are running across the province the week before the provincial budget on March 22. The provincial budget is expected to introduce significant changes to the education sector, including amalgamations, a decrease in funding, a 3.5 per cent wage rollback for staff, and the possible removal of elected school board trustees. CUPE is encouraging concerned citizens to contact their MLA as these changes will affect Saskatchewan students. 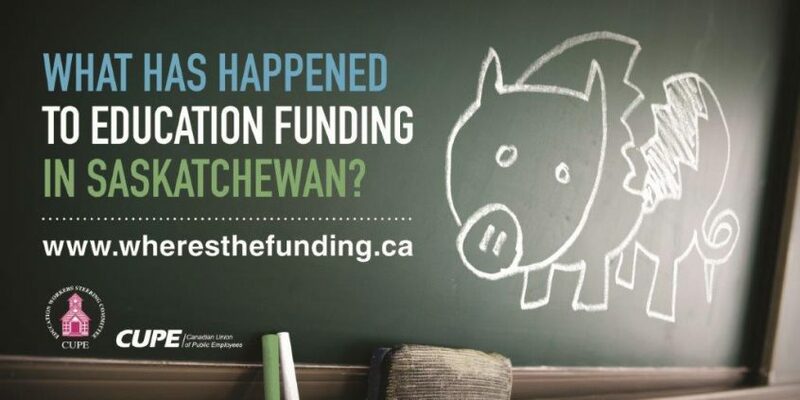 You can learn more and take action at www.wheresthefunding.ca.